Hello everyone I'm new in this forum, I'm Italian and I'm a big fan of Rayman, I'm developing a video game with another girl based on all 3 rayman, but as a protagonist a new character created by her, her name is Rayxim and the aim of this game is to save Rayman and Polokus, who are victims of the mysterious dark creatures experiments created by Mr. Dark and recover the yellow lum to reconstruct the heart of the world divided into 4 parts, dispersed in different worlds. We are looking for 2D and 3D artists and a musician. 3D: people who know how to use the blender, 3ds studio max or Maya. 2D: people who know how to use a photo-editing program like Photoshop or Gimp. I'm using Ue4 and I'm looking for C ++ programmers. 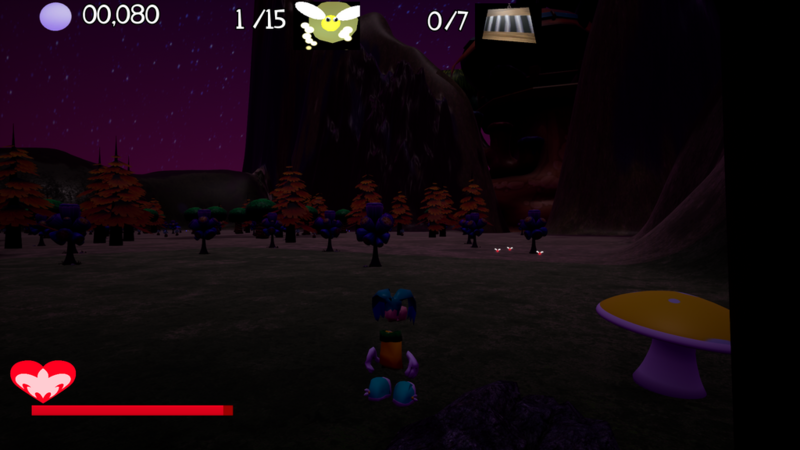 The levels are 8 with new worlds, 4 new allies, new enemies and 4 new power ups inspired by Rayman 3 and there are our old friends in this adventure, if anyone of you is interested can write me a comment below. The story tells of Caroline years after her last fight on earth as a guardian precisely 5 years later and she is adult, one day decided to take a walk in the city when she called her mother on the cell phone, closed the call felt a sudden explosion in a building next to her, she saw 3 monstrous creatures she had never seen, causing panic to the inhabitants, she decided to hide in a public bathroom to transform in Rayxim thanks to a necklace she had received as a gift from the last guardian of the earth, like Rayman the her task is to protect the inhabitants of the earth from nightmares. Despite the attempts Rayxim failed to protect the earth but was defeated and the monster ripped her wings and opened the portal Rayxim followed him and she was catapulted into the glade of dreams where she discovers that the panic is there too. 1) Dream Forest part 1: [Complete] after a short cutscene with globox you must to free a cage, Murfy will appear and there will be a tutorial that will explain the top icons (the points are collected with the purple orbs like those of Rayman 1, a total of points will unlock a playable level bonus, the icon in the middle are the tasks to do at the moment there will be to collect the yellow lum but after later it could change, on the left there are the cages in each level there are seven cages and every time you release one there will be a medallion as in Rayman 3 just a different design because it changes color depending on how many free cages: from 0 to two is bronze, from 2 to 4 is silver that becomes gold from 5 to 7 gold then becomes diamond and your healthbar will be extended, for energy you can use the red lum as in rayman 2 and if you get to 100 you can not take it) in this level there are a few enemies, but they are not strong (5 shots and they die) and 3 yellow lum to collect that are hidden around in this forest, if you follow the main path (dark brown) you will reach a tunnel that will lead you to a cave where there are 3 harmless enemies, because they do not attack you but you have to pay attention to the water because Rayxim can not swim, here there are two lum to collect and then you should to find a way to reach a door that is at the top and will take you at the next level. This part of the level is inspired by a level of Rayman 2. [complete] this level I was inspired by a level of rayman 2 no level design but as game mechanics, with similar to rayman 3 for example if you destroy a number of enemies you will open a door that will take you to the next level or to exit from where you are now, there are 3 cages in one of these there will be a teensie with the crown that will give you the yellow lum, even here there will be water to avoid, to get to the other side you have to get on an plum, when you arrive on the other side of the river there are two enemies and there is a character from Rayman M (tily) that you have to free because she is unlock inside a black electric cage, to do this you have to defeat the boss, who is inside a ruined house and there will be a mini dialogue before the fight, to defeat him you must press 3 red buttons within 30 seconds otherwise they will turn off you can't attack him but he can and close, if you can press 3 red buttons the boss will paralyze for a time with smoke and you can attack him so you must continue until he dies, but before he dies there will be another dialogue with him and after with Tily she will give you the purple lum so you can hold on to overcome the water and get to the other enemy camp , where there are both lum and other cages, but before Tily leaves, she will tell you that you have to talk to Grand Minimus. the second part ends with Rayxim, who enters a temple, and this and last part ends the first level. It is structured in 3 floors where there are also secret rooms that there are both the lum and the points and to open these doors there will be hidden buttons. The purpose of this level is to reach the top floor where there will be the main boss who attacked Rayxim and ripped her wings, so there is a dialogue before the fight and even after, the creature will reveal to be a Nymphlix a experiment created by his lord, once dead you will get back your wings, you can use them as in Rayman with the helicopter. Break the last cage and there will be a teensie that will take you from Grand Minimus to the room of the heart of the world who he will tell you that it was destroyed again but the worst thing is that it was divided into 4 parts and to form a part you need a total of yellow lum that are scattered in various worlds. if you have found them all, he will tell you to go to another world that is the wind forest and he will also tell you that the yellow lums are the key to tracking down Polokus. Otherwise you have to start the level all over again. this is a level selection like in Rayman 2 and as you finish a level you will open a portal that will take you to another world and you will automatically save the game here. Last edited by Misaki1993 on Wed Sep 26, 2018 6:09 pm, edited 3 times in total. Welcome to the forums, feel free to explore them! That project sounds impressive, do you have some artworks of your work in progress? I don't think I'll be of any help concerning 3D art, but I have used a bit UE4 before, and I might be interested at least to see the code before participate. If you have a github repo I would be glad to see it. By the way, are you using pure C++, pure blueprint, or mixed? 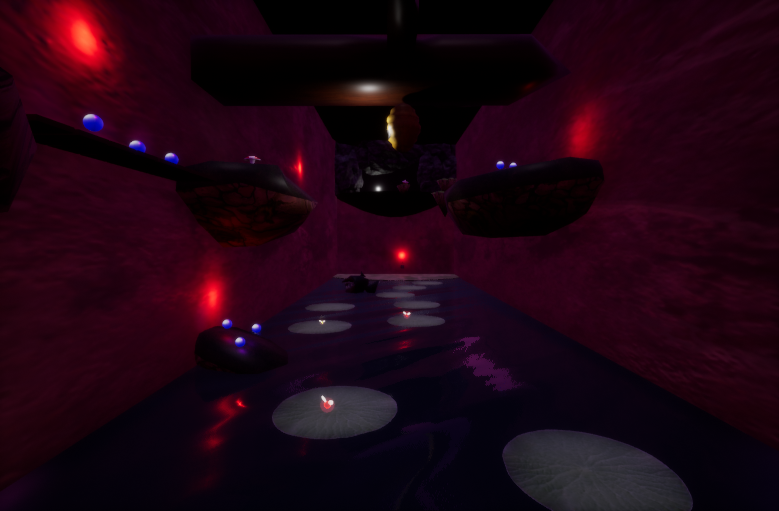 Hi, thank you so much for your interesting this is my deviantart account: https://www.deviantart.com/yerpina, I have to update it because I added a geometric level like in Rayman 2 where you have to reach the door without touching the water, the levels are structured in 3 parts, example that terrain is the start of the game where you have to look for the yellow lum and defeat the enemies and then you have to go to that level which is a cave where there are the last yellow lum and a cage to destroy and I added 3 small enemies: piranha similar to Rayman 2, a nest of bees and an enemy in a platform that I believe his name is spike in Rayman 3(?) and in that door you get to the next level which is the second part (almost finished I have to adjust the light and add the objects). I'm using pure blueprint in UE4, but I'm a beginner and I'm almost done with the configuration of the character, I miss the lateral movements that are activated with the ctrl key, the climbing system and swing with purple lum. I completed the checkpoint, now I'm looking for the solution for the respawn with the data loaded and I finished all the pick ups (yellow lum and the balls for the score that are used to unlock the hidden levels), I miss the cages (I have used a destructible mesh) and maybe I found the solution for the medallion, our idea was to change color to the medallion according to the number of destroyed cages: 0-2 cages color changes in bronze, 4 cages in silver 5 cages in gold and 7 diamond cages and after the healthbar grow longer and for simplicity I put in each level 15 yellow lum to take (5 yellow in all 3 parts) and 7 cages to destroy with teensie inspired in Rayman 3, I have to do the main enemies that are monsters, in these 3 parts of the level are equal, they shoot fireballs and they can't be attacked closely because they move away and then we decided to add two bosses, one is in the second part and one at the end of part 3 although I still have no idea what kind of skill I can do. If you are interested in doing something with blueprints, write me. I usually use UE4 with raw C++, but I might give a try with blueprint, let's see that. I'm that girl who's working with Misaki1993 on game. 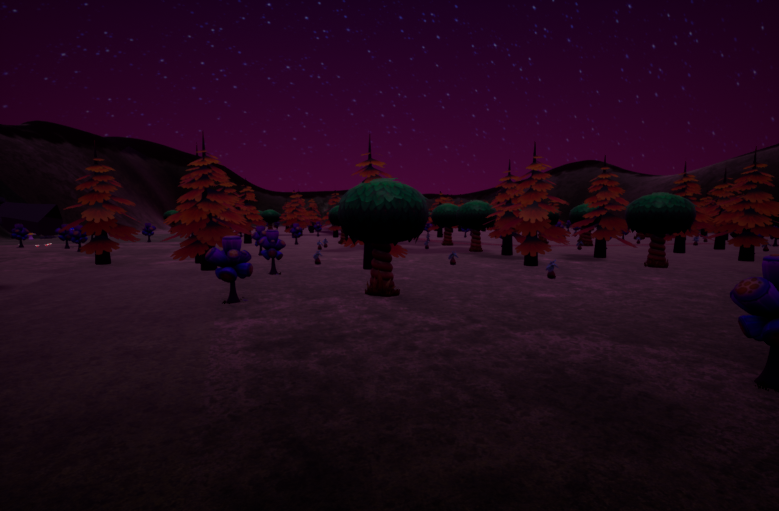 And I'm giving you to show how screenshots of game demo. And official logo. The game is in development from spring of this year and we have to a lot to finish this project. So there are sreenhots fromm engine and gameplay. I you wnat to help us contact me on email: kajibojki@gmail.com or to her.